Trouble’s little and it’s lonesome. You won’t find it on any map. But you can take three steps in any direction, and you’re there. It’s a place to be born. And it’s a place to live. And it’s a place to die and be forgotten. It’s a town called Trouble. And Trouble is a lonesome town. 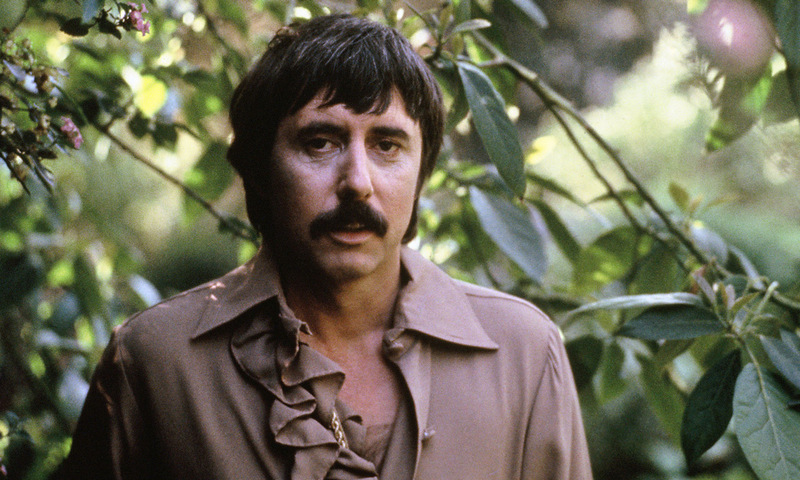 Those unfamiliar with Lee Hazlewood – and that remains most people, since his most commercial successes were usually performed by others such as Nancy Sinatra, Dean Martin, Elvis Presley and Duane Eddy – may be surprised to learn that he has a legion of fans. Many of them are renowned musicians, influenced by his work as a singer, songwriter, producer and musical entrepreneur. Hazlewood counts Beck, Sonic Youth, Pixies, Spiritualized and Richard Hawley among his biggest devotees, but many of them are most drawn to his solo work, largely amassed during the 1960s and, especially, the 1970s, when he removed himself further from the spotlight by settling – for at least part of the time – in Sweden. In 1999, however, the man with one of the most recognisable voices in pop history began an unexpected comeback that, despite his untimely death, continues to this day, thanks to a number of reissues, most recently by Light In The Attic Records. I was hired as his U.K. publicist at the beginning of this adventure, and over the next eight years, up until his passing from kidney cancer in 2007, became his “Manager (Europe)” – as he put it – as well as his friend and, ultimately, collaborator on his final recording, a collaboration with Icelandic band amiina, for which I wrote the lyrics. 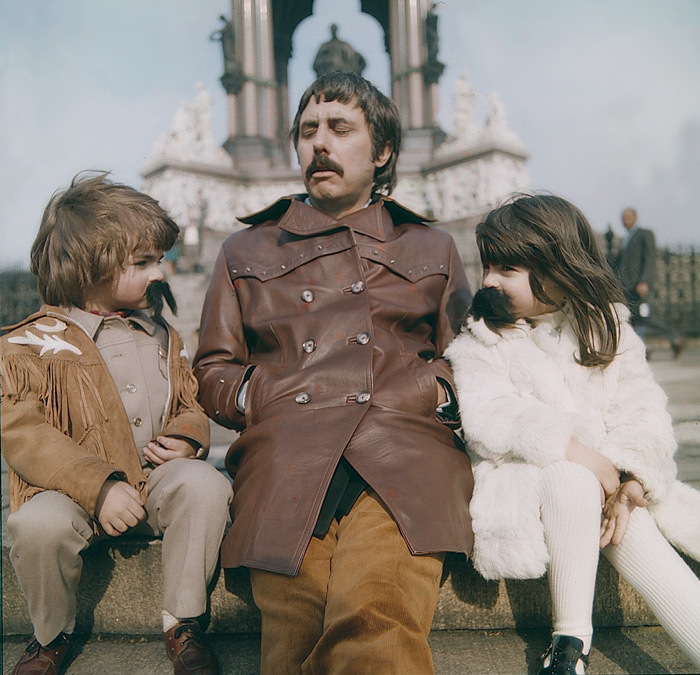 It’s an experience I’ve recounted in a book entitled Lee, Myself & I: Inside The Very Special World Of Lee Hazlewood (Jawbone Press), which seeks to tell the story of his life while sharing the intimate details of our unlikely mutual attachment, as illustrated by this exclusive extract. My playlist seeks to provide an introduction to his music, comparable to the one the book offers to his life and personality. It showcases his extraordinary talent as lyricist, songwriter, producer, singer and duettist, drawing upon work with his protégé, Duane Eddy – with whom Hazlewood invented ‘the twang’ – and also recordings with Nancy Sinatra, Nina Lizell and Ann Margret, as well as, of course, his extraordinary solo work. It closes with the final tune Lee recorded, whose provenance is explained in some depth in Lee, Myself & I.
Lee rarely speaks about the music on his old records. He’ll talk until your smile muscles ache about all sorts of things, but not the contents of the albums that he made. Of course, I’ve heard countless stories about ‘The Sinatra Girl’, been told often how many copies ‘Boots’ has sold, and he’s discussed what it cost to record such and such a session musician in such and such a studio on more than a handful of occasions. But he’s never been especially interested in talking in depth about the very essence of what earned his reputation. Music has always been commerce to him; a means of paying the bills. ‘Boots’ and ‘Sand’ and ‘Ladybird’ and ‘Sugar Town’ and ‘Some Velvet Morning’ were, he insists, merely what enabled him to put those children through the best colleges in the US. He’s more interested in numbers than notes, it’s always seemed, unless of course they’re bank notes. He refers to his songs as garbage—‘The way I play guitar has increased piano sales nearly ten percent a year!’—and considers himself little more than ‘a redneck Indian cowboy singer’. Nowadays, he betrays little interest in music at all—‘The only thing I listen to is my bank account,’ he likes to say—and only occasionally stumbles upon something, perhaps on TV, that he’ll later ask me about. These are often unexpected targets of his affections: The Corrs, for instance, or a transvestite cabaret act. What they usually have in common is a fondness for covering his compositions. It’s a surprise, therefore, when I find us talking about some of his older recordings. I can’t remember how we started, but suddenly he’s reminiscing about string arrangements and lyrics and specific musicians with an extraordinary clarity. His eyes shine as he recalls particular episodes in his recording career, but even he’s a little doubtful as to which song is on which record. The problem is that Lee has no copies of most of his own albums—especially not the ones that have so far failed to be reissued—and he even gave away all of his gold discs. In fact, only one remains on his wall, curiously for the 1992 multi-million-selling version of ‘Boots’ by Billy Ray Cyrus. I once asked him why, of all the awards he’d won, he’d kept that. It had seemed odd to me that Billy Ray Cyrus, an artist who’d earned universal derision from musical ‘connoisseurs’, should have awakened Lee’s creative instincts. But back then, Lee still had little interest in anything other than commercial success. This presumably explained his sternly negative reaction to the attempt around the same time by the Seattle-based indie label, Sub Pop Records, to compile an album of his songs performed by the likes of Beck and Nirvana—little known acts at the time. This previous attitude, he conceded, was one he regretted. ‘I know that Beck is a fan,’ he sighed, ‘and I know that Kurt Cobain was a fan, too. And I found that out from the guy in Seattle who I crawled all over ’cos he was gonna make a tribute album on me. I wasn’t ready. I told him, “No, I don’t want it. If you do, I’ll sue you.” That’s awful isn’t it? I didn’t know anything. I wasn’t even listening to radio then. I was living in Florida with my son Mark, and my grandson, and we were having a lot of fun together, and that’s all I cared about then.